Have a safe and happy Halloween y'all! This "single mom" crap is for the birds. Which I admittedly shrugged off because Veronica was just getting over bronchitis. Literally two days ago was her last dose of Zithromax, so how could she possibly have an ear infection? A Z-pac usually works wonders. And even if she did, it couldn't be that bad... Oh so wrong on both counts! Nothing I tried calmed her down. So I called our pediatrician's office, and they said to come right in. It was 1:30, which left me with a really big dilemma. If I take Roni in, would I be home in time to get Valerie off the bus?? Usually appointments go really quick,but sometimes not. With Veronica in such awful pain there was no waiting until morning; I HAD no choice but to take her in. Of course, it was very slow to be seen today. Veronica has a horrible, horrible double ear infection and got an injection, which we had to wait 10 long minutes to be sure she didn't have a reaction. It was almost 4:00 when we left the doctor. Thankfully my Dad was able to get here in time so Val wasn't alone. But still... he's almost 80 years old and lives 35 miles away. What if there was a true emergency? And I can't get home for whatever reason? I have to figure out something... I need some sort of plan in case this happens again. I just don't know what. 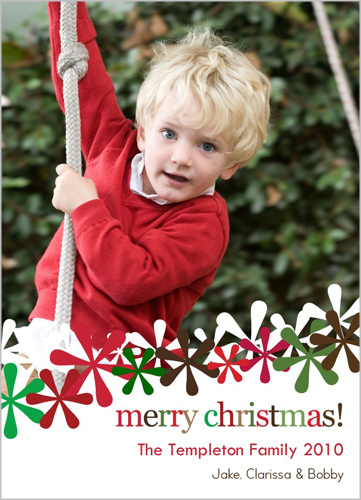 The holidays are right around the corner and you know what that means ~ Christmas Cards! I love sending and receiving cards. I get excited when I find cards in our mailbox. I hang them up in our doorways as part of our decorations. I enjoy photo cards the most. We usually take a family photo as soon as we get our tree and decorations up to make a photo card. 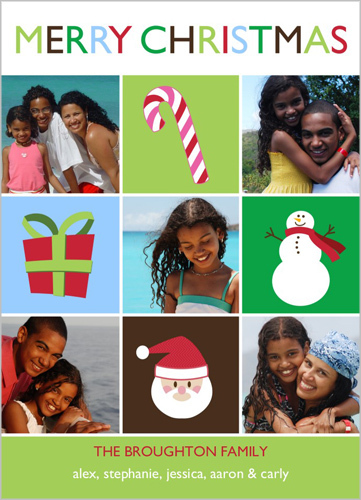 Shutterfly has an amazing selection of cards this year. Hundreds! You can choose folded or flat and a wide varity of layouts. I am partial to the 5x7 flat cards, but I do like the traditional folded ones as well. I think I will have a hard time deciding this year! I just love the snow flowers on this one! Check our their photo cards section to see many, many more. I have used Shutterfly often in the past and I have always loved, loved my purchase. Delivery was fast, too. Photo calendars make a great inexpensive gift for grandparents! Check out all their other gifts too. 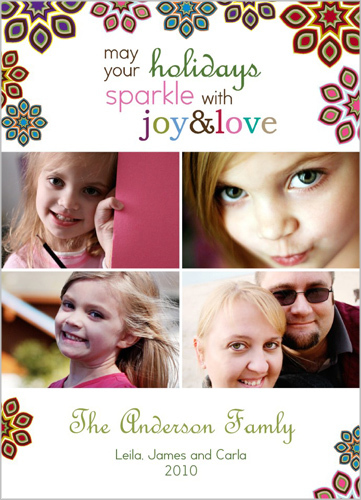 Shutterfly is full of great ideas! 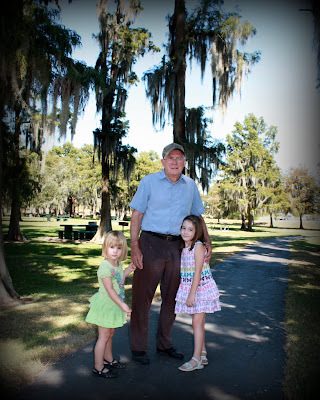 Would you be interested in 50 free photo cards from Shutterfly? Click the link to find out how! This post is sponsored by Shutterfly! I was selected to participate and receive 50 free cards for writing a review. Yesterday Valerie asked me why didn't we go to the Mickey Mouse room anymore? (my former gym had Disney stuff painted on the walls of the daycare room, hence "Mickey Mouse room.") I told her we go to the YMCA now because of better babysitters. "But their butts are so big. Their butts are big and sooo fat and gigantic when they sit down. I like the Mickey Mouse room." Oh boy. 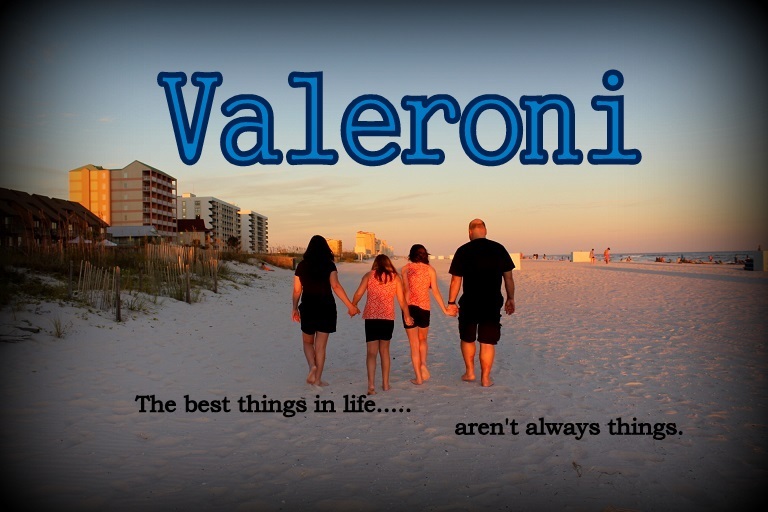 At 8:15 this morning Veronica started asking when was Valerie going to be home? She had only left for school 15 minutes earlier. Then it evolved into "when it's going to be my birthday?" March. "Is it March yet?" Oh boy. I decided to bake some cookies with Veronica today, just for the sake of baking. I surely don't need to be eating any cookies. I figured it would keep her occupied for a little while. It did, for all of five minutes. Mission accomplished. Ever saw a kid who liked to eat flour? Now you have. Cookie dough... so good but so bad. Ah, that's better. 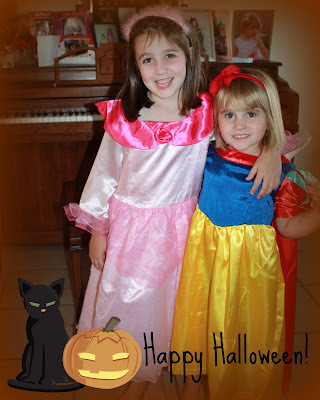 A Happy Halloween treat! FYI I used this basic sugar cookie recipe. Very easy and yummy cookie. Right out of the oven I pressed a candy corn into each cookie. Hershey kisses would be awesome too, but I wasn't willing to give up the bag I have. Heh. Happy Birthday, Preston!! I can't believe you are three years old. I love and miss you. Unfortunately today we had to spend money on a new washing machine and dryer. It's so nice getting new appliances but not so nice to pay for them!!! Currently we have a Frigidaire Affinity set. Junk. I am soooo unhappy and will never purchase Frigidaire ever again!! Something so expensive should not break under normal use after such a short time!! The front loaders look pretty but they are not worth the money. The $1000 washer broke a little over a year. The repair bill was over $300. The plastic panel is cracked to bits just from the machine vibrating. Plus all the mildew around the rubber seal is a pain to deal with. The $1000 dryer has been on the fritz for a while now. We had to bang on it to unstick a button to get it to run. It would work for a few days or a week, then do nothing but flash error codes after running for 30 seconds. I guess it had enough of the banging because a few days ago the darn thing quit working all together. (It is such a pain hanging clothes out to dry!) We could either spend $300 to repair something that is junk to begin with, or spend $400 and get brand new. And rather than having miss-matched appliances, and since we don't really like the Frigidaire, we opted for the washer too. My regular top loading Maytag washer and the matching dryer will be here Monday. AND I will have more space in my tiny utility room with the monster sized machines gone. I just hope Maytags are as reliable as they used to be!! We spent the last six days in lovely Gulf Shores, Alabama in an awesome condo across from the beach. 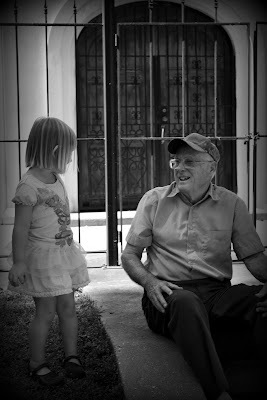 I drove the kids and my Dad over there Thursday and Clint flew in from Scotland on Friday to meet us. Despite the scattered tar balls, the beach was beautiful! We couldn't have asked for better weather either.... clear skies and breezy. The kids had a wonderful time and we did too! Every morning we went to the beach, then we went back to the condo to get ready to go into town. We shopped... we ate (Lambert's ~ yay!)... we went to the (pitiful) zoo... visited the Naval Aviation Museum in Pensacola... played mini golf... and watched the sunset on the beach every night. Ah, it's great to get away... but it's always great to come back home too. Now to start planning the next vacation-- Disney World! Hi from gulf shores, alabama! After a little debating, I've decided to have Valerie's birthday party in a few weeks. I know it's very early. But with an almost Christmas birthday, I'm hoping early will work out for the best. I think having a lengthy break in between her birthday and Christmas will be a little less hectic for everyone. Last year her party was a month late (thanks to the flu!) so why not have it a month early this time? Hopefully November weather will cooperate better also. Where has the time gone.... I can't believe my sweet girl is going to be six years old. I feel kind of bad, but we are keeping the party small and are not going to invite a few people who expect to be invited. Ok well, one person mainly. (4th of July peeps know who I'm talking about!) I hate to leave anyone out, and it's nothing against the kids, but I don't like inviting people because you feel you HAVE to. It will be tough to hide that we had a party thanks to my Facebook addiction. I know I'll be asked about it ~ "Oh I see you had a party and didn't invite my kids? " This person is so paranoid and is always asking if I'm mad at her as it is!!! I hate to lie but how do you say I just don't want you here in a nice way?!? 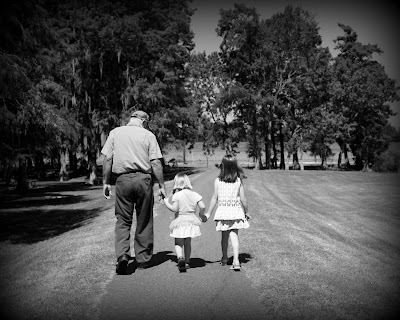 We had a great day visiting my Dad. It was a beautiful, sunny day, so I wanted to spend some time outside with the kids. 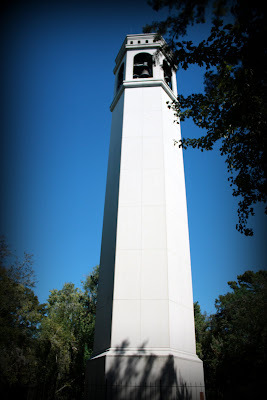 We decided to take Val and Roni to Lake End Park and to see the bell tower. I hadn't been to either in years. My Dad took me there often when I was a child, and both were my favorite places around Morgan City. When I was older I spent a lot of time at the lake walking the mile long trail. Glad to be able to share the memories with my girls!! 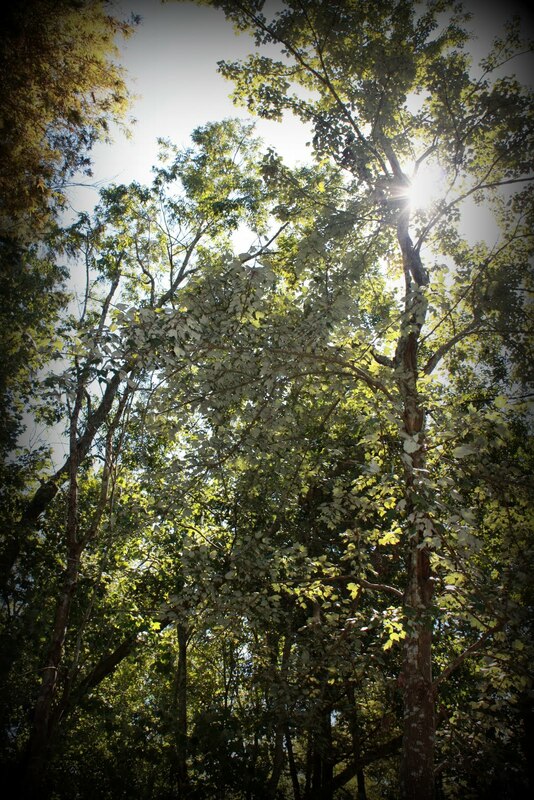 It was such a pretty day... a little too warm in the sun but still a perfect day to be outside. My girls had a blast with their Poppi! So I am hearing through the grapevine (sort of) that a certain someone is on the decluttering rampage again. Seriously, again?? Already?? What kind of church going person does that on a regular basis?? Just drops people instead of being all holy and tolerant. I have to wonder just who is getting the axe this time. And I have to wonder, why do you feel the need to declutter so often? I mean... why are you befriending such negative people to begin with?? And what about it makes it so refreshing? And um, if the same thing keeps happening over and over with different people... perhaps you are placing the blame in the wrong place. There's a shocker. Perhaps you are looking for a scapegoat for your own hypocrisy?? And it makes you feel better... for a little while... until someone else comes along you can pin it on. Just maybe the negativity isn't external. Maybe you should look in the mirror.